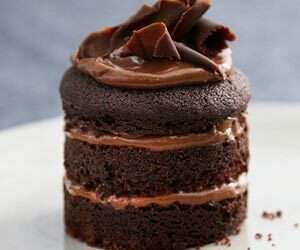 Here at Lakeland we love to bake and we know that you love all things baking too! Whether you aspire to make your very first Victoria sponge, or are planning to make and decorate a showstopping celebration cake, we have all the kit needed to help you achieve perfect results. In our first fifty years we have met and talked with so many enthusiastic bakers with amazing ideas and you give us the inspiration to go out and find the specialist baking tins, scales, mixing bowls and yes, “gadgets” to help make baking as easy as can be. The Lakeland aim is to provide quality tins for even the simplest baking task and then to help you create amazing party pieces by finding specialist pans and unusually-shaped tins that will knock the socks off your guests with their detail. One such baking tin is our fabulous My Kitchen Mini Sandwich Tin featuring a handy loose base to help create small but perfectly-formed miniature cakes, puddings and even individual cheesecakes! A bite-sized taste of Christmas made with mixed spice, sultanas, glacé cherries and a dash of brandy! Perfect for delighting your Christmas guests or giving away as little gifts. 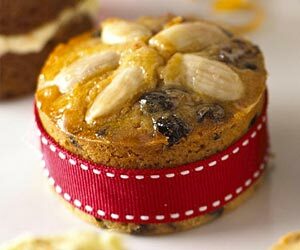 These marvellous mini cakes are ideal for afternoon tea or even as a dessert served with fresh cream or ice cream. Made with dark chocolate, lashings of butter and salted caramel! 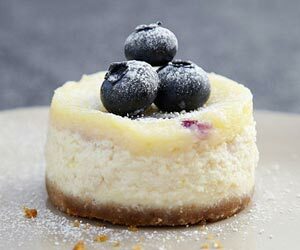 Who can resist these perfect mini blueberry cheesecakes? We know we can’t! Perfect for impressing dinner party guests or to make all for yourself! We love to see your cake creations so why not become part of the Lakeland community and ‘like’ us at lakeland.co.uk/facebook where you can share your photos with us? We can’t wait to see what you’ve made with our bakeware!